Circle One Hypnotherapy & Shamanic Healing integrates several healing modalities. UTILIZING THESE COMBINED THERAPIES CONSTITUTES THE LIGHTNING PATH. available a diverse repertoire of approaches. 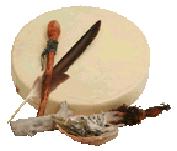 Shamanic practice such as a Soul Retrieval to heal your Spirit and Soul. you were created to be, is our goal. The precious commodity that is YOU is critical to the well-being of the world. Every journey begins with just one step. Circle One is honored to help you with your journey. You are here for a reason. You are here to be all that you were created to be. How do you get out of your own way? How do you heal old wounds and fears? your inner dreams through hypnotherapy. damaged and are standing in your way. Or may be missing altogether. A Soul Retrieval will return to you those lost 'soul pieces' allowing true healing to occur. impact our current life in a variety of ways. development to be all you were created to be. free of judgement or criticism. Circle One Hypnotherapy & Shamanic Healing. Hypnotherapy, and an ancient healing tradition, Shamanic Healing?